All Harrisburg homes currently listed for sale in Harrisburg as of 04/21/2019 are shown below. You can change the search criteria at any time by pressing the 'Change Search' button below. If you have any questions or you would like more information about any Harrisburg homes for sale or other Harrisburg real estate, please contact us and one of our knowledgeable Harrisburg REALTORS® would be pleased to assist you. "7+ acres on Subdividable land, R1/R2 zoning! Views of the Coburg hills. Home is functional & has hardwood floors. Property has HUGE 40*72 shop, barn & Outbuildings. Perfect for the farming, equestrian living, and/or development mindset." 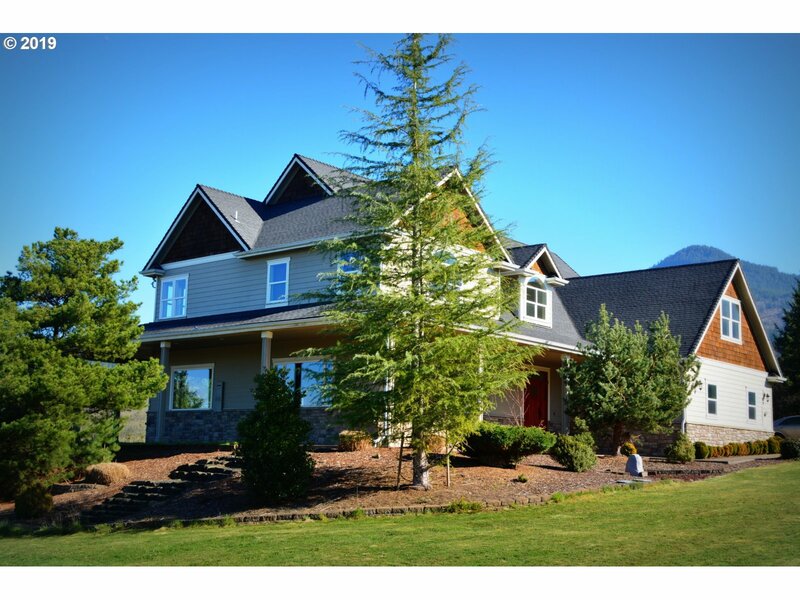 "Stunning home flooded w/ light offers sweeping views of Willamette Valley & Coastal Mt. 's Nestled on over 8 acres. Kitchen equipped w/ Thermador appliances, granite counters. Huge master w/ tub, rainforest shower. Entertain on the covered, stamped concrete patio wrapping 3 sides of the home. Theater/bonus room fully equipped. Insulated/Heated 1600 sq/ft pole barn. 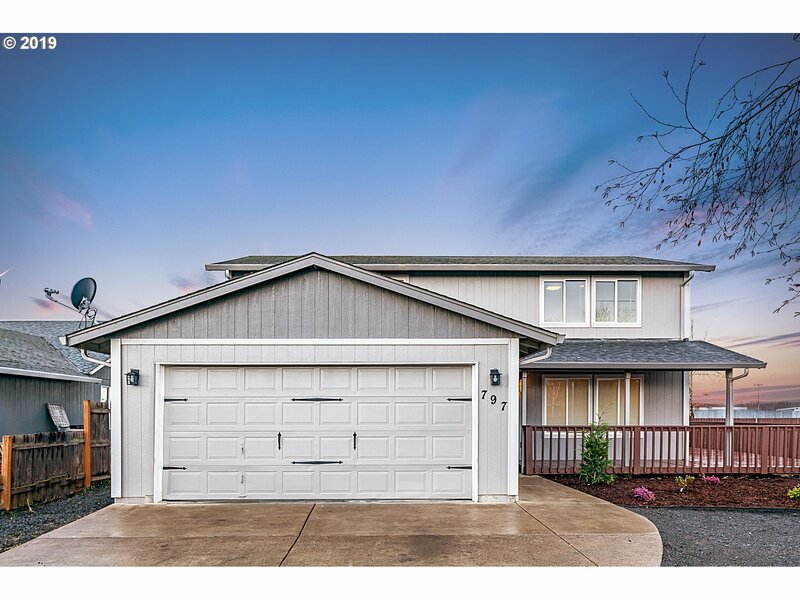 VIEW VIRTUAL TOUR - MANY MORE PICTURES, DESCRIPTIONS & WALK THROUGH VIDEO"
"Wonderful home in country park like setting, just 10.3 miles to Costco. Downstairs family rm, and living rm, upstairs den. Formal and informal dining. Spacious kitchen with large island, lots of storage, granite countertops, SS appliances. 5 bd, 3 bth, and office. Covered patio. 80'x 40' shop and RV garage with HT pump, plus 30'x 24' shop, and small barn. Tennis court, Generac 22kw generator w/auto transfer switch, Eugene 4J schools." "The stately Upmeyer House is now on the market. Built in 1913, this historic Colonial home has been restored and modernized over the years. High quality details include wainscoting, original fir floors on 3 levels, large kitchen with granite, elegant library, travertine tile, gas fireplaces, spacious master suite, high ceilings, and balconies off bedrooms. 3rd floor Family Rm addl 663sf. 200sf shed. This fine home is a must see!" "Gorgeous Craftsman remodel. Gourmet kitchen with island cooktop, granite, subway tile and maple cabinets with pull outs. Vaulted ceilings in family room and spacious rooms throughout. Huge master suite w/ french doors out to deck. Charming covered front porch. Lots of recent upgrades. Beautiful, easy care floors. 4 car garage with alley access. Ideal location--easy walk to shops, park, and riverfront with boat ramp. Master on main." "Beautiful spacious 2,080 sq ft home in Harrisburg with 3 beds and 2.5 baths. This home has been completely remodeled. Includes stainless appliances and farmhouse sink. Gorgeous laminate floors throughout. Has both living and family rooms. All bedrooms upstairs. Master with generous sized walk in closet and stunning tile shower. Wrap around deck and additional parking next to side yard could be used for smaller RV or trailer. Call today!" "Prime biz location for the entrepreneurial buyer. Located on the main roadway, yet close to the scenic river. Fixer, with great potential! Room to garden. Build a garage or 2nd storage shed/shop. Living space in the upstairs, with possible commercial business office downstairs. Check with city on zoning or building restrictions. Cash only, or seller/owner carry with a large down." "Roll up your sleeves and make this diamond shine. 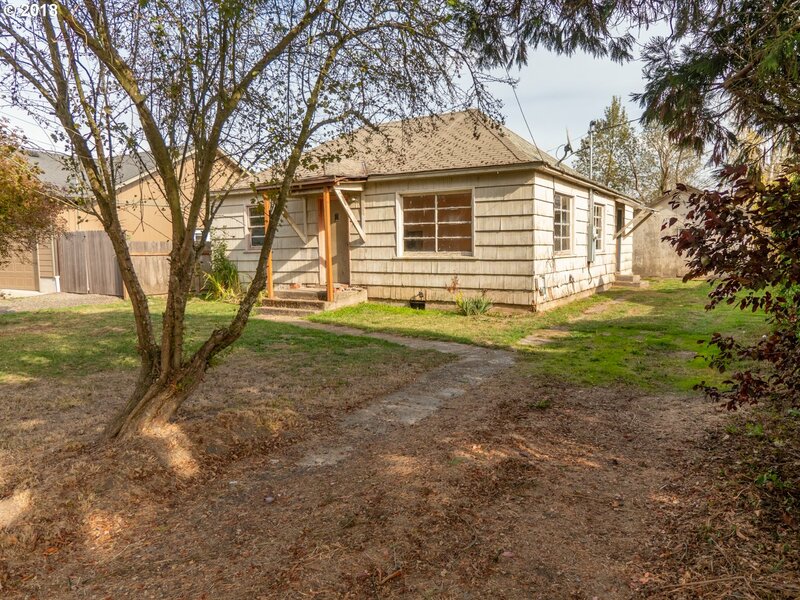 This 3 bed, 1 bath home is ready to come alive with some elbow grease and creativity. What a great starter home, investment property or your forever home. Come on in and embrace the potential."